Below is some general information for New Clients to make your visit as easy as possible. If you have any questions and you cannot find an answer on our website, please give us a call, we are happy to assist. Appointments are scheduled between 8:00am and 8:00pm, Monday through Friday, 8:00am and 5:00pm Saturday, and 10:00am and 3:00pm Sunday. Please arrive 5-10 minutes before your scheduled appointment time. This will allow a few minutes for you to complete our new client and patient form, and get checked in prior to seeing the veterinarian. We schedule these procedures Monday, Tuesday, Thursday, Friday. We do not perform surgical procedures on Wednesdays. Please arrive between 7:00 and 8:00am the day of your pet’s procedure to admit your pet. S/he should have no food or water after midnight the evening before the scheduled procedure, and no food or water the morning of. If your pet has special needs or is a diabetic patient, please speak to the doctor or technician prior to withholding food, as these instructions may change. A technician will check-in you and your pet and explain the procedure, answer any questions you may have, and let you know an approximate time your pet may be ready to go home. Please understand this time can vary greatly, and specific discharge times will be scheduled once your pet is in recovery. Our veterinarians provide a complete physical exam of all 12 body systems to every patient presented for a first time or annual exam at Companion Animal Hospital. If any additional recommendations are made, the veterinarian will explain those to you, discuss your options, and create an estimate. Please understand that it can be very difficult to quote a client for a service without first examining the patient. There are often many variables that can affect the cost. 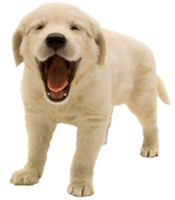 We are however happy to provide a quote for more common procedures such as spays, neuters, and routine dentals. If you have never been to Companion before, please bring your pets medical records and/or vaccine history with you. If you have a new puppy or kitten, bring whatever information you have, if any, and visit our New Puppy or Kitten page under Services. If you are seeking a second opinion from our veterinarians, please let our front office staff know when you schedule the appointment. Please bring copies of your pet’s medical records with you, as well as any lab and imaging results. Call our Pet Clinic in Bellevue, WA Today! If you have any additional questions, please feel free to call and speak to one of our front office associates or a veterinary technician. We are happy to assist you with your pet care needs!